A Fell Pony colleague recently repeated an often-asked question. Why is the Fell Pony not considered a regional treasure in its homeland? For instance, the Fell Pony was not included in the application by the Lake District National Park for World Heritage Site status. Further, in countless books about the Lake District and the natural beauty of northern England, the Fell Pony rarely is mentioned, and especially is a poor cousin to its fellow fell dweller the Herdwick sheep. 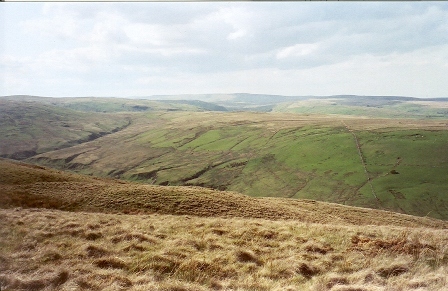 Why is it that the Fell goes unrecognized? I’ve finished reading yet another book about the Cumbrian countryside and the Lake District. This one dates from the late nineteenth century, and there is not a mention of a Fell Pony anywhere. Packhorse bridges are mentioned, as is the oft-repeated statistic about packhorses leaving the historic wool center of Kendal at the height of its influence. “…for four centuries the Kendal cloth was the common clothing of the poor of the country. As a proof of the vast importance of the Kendal trade, during the early part of the 18th century, it is on record that 354 packhorses, carrying goods passed to and from the town every week.” (1) But the native ponies of the region are never referred to nor mentioned by name. Sheep are mentioned a few times, but the author’s interest and focus is more on ecclesiastical and political construction. Back in the modern day on modern media, I read a post on Facebook by a Fell Pony colleague who was exclaiming about the beauty of the Cumbrian landscape. Many people travel to Cumbria and the Lake District because of its natural beauty and in fact the author of the book I’ve just finished spent a good part of his words describing and extolling upon the beauty of that area. These exclamations of admiration for the scenery got me thinking that perhaps the Fell Pony gets metaphorically lost in the landscape of its home and hence goes relatively unnoticed. Having walked there on numerous occasions myself, the landscape is in places out-sized and breathtaking and mesmerizing. I took the photo here when Bert Morland of the Lunesdale Fell Pony Stud took me up onto Roundthwaite Common and he pointed in that direction indicating there were ponies to see (I didn’t see any!) I can certainly imagine that if you lack a love and appreciation for these ponies away from their home terrain that it would be difficult to see and appreciate them there when visiting, especially since so few ponies actually run on the fells anymore. There’s undoubtedly work that can be done to improve the Fell Pony’s image in its home terrain. Given how most people seem to experience that home terrain, work on behalf of the Fell Pony will best be done if it remembers how easy it is to lose the ponies in the scenery. Bogg, Edmund. A Thousand Miles of Wandering Along the Roman Wall, the Old Border Region, Lakeland, and Ribblesdale. Leeds, England, self-published, 1898, p. 226. 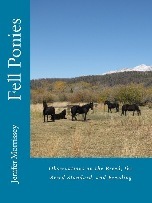 More about the Fell Pony can be found in my book Fell Ponies: Observations on the Breed, the Breed Standard, and Breeding, available internationally by clicking here or on the book cover.